FORAN - Cooling bracing wash for post exercise - 1, 2.5 or 5 l.
Suitable for all horses after hard work. 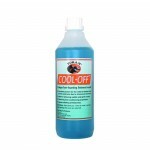 COOL OFF is low foaming invigorating wash to relieve muscle and tendon soreness post exercise. 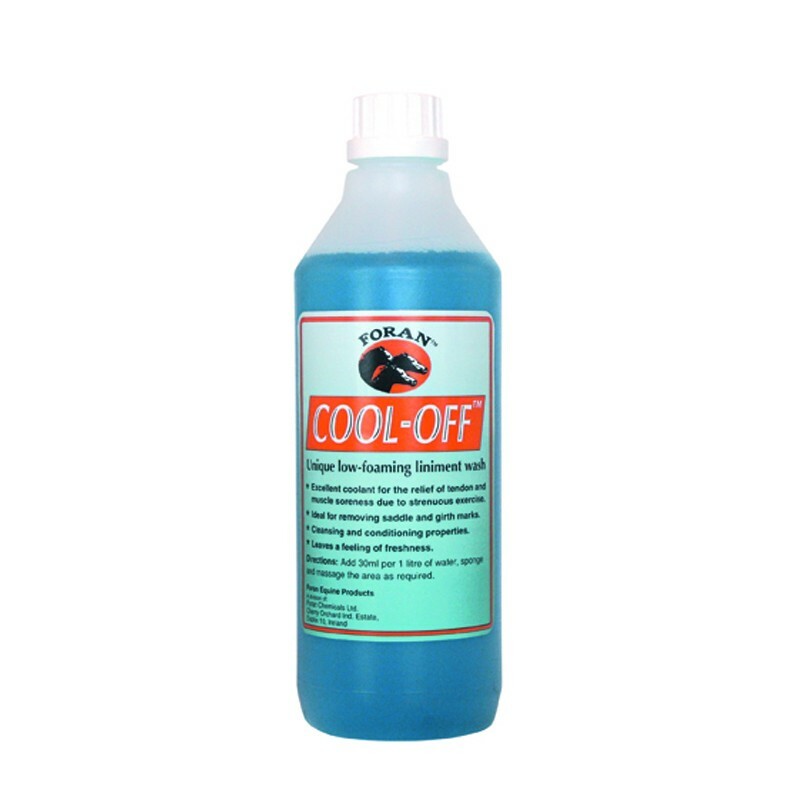 COOL OFF cleans and refreshes while effectively removing tack and saddle marks and after sweating to leave a shiny clean coat. Add 30ml per 1 litre of water, sponge and massage the area as required. Weight 1 l, 2.5 l ou 5 l.